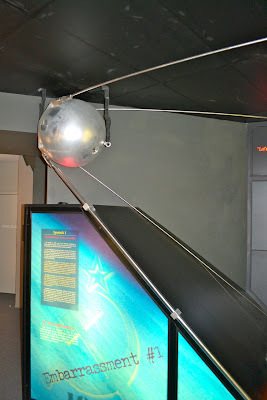 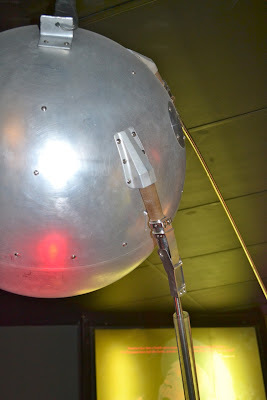 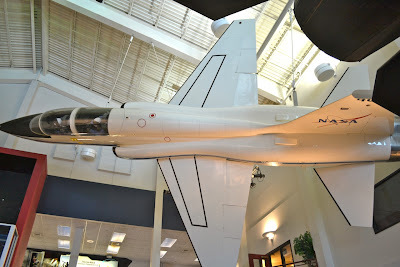 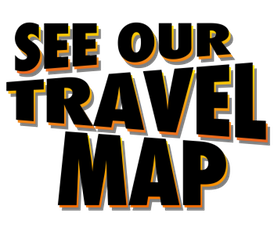 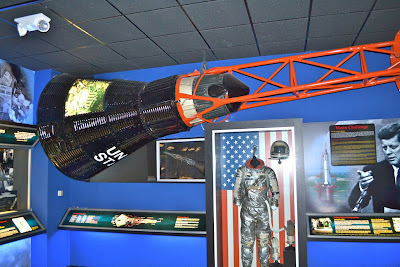 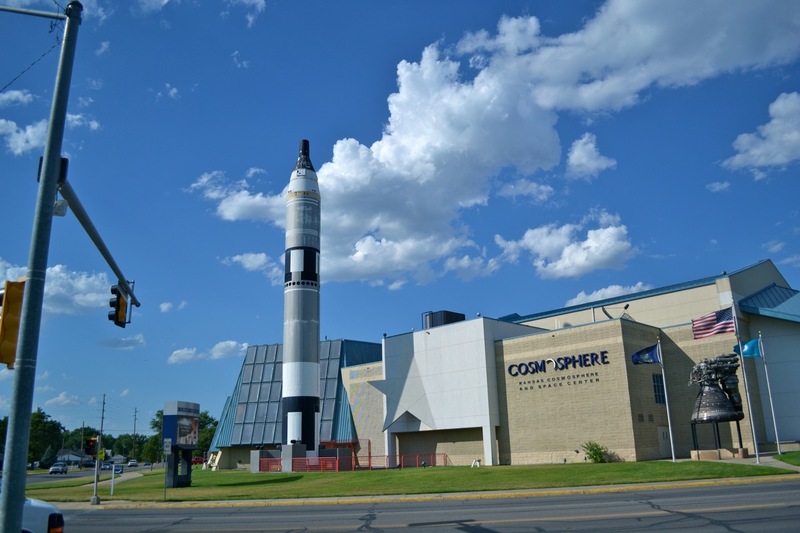 So, one of the "must see" stops for us on this first loop (at least for the boy, anyway) was to go to the Kansas Cosmosphere and Space Center, located in Hutchinson, KS. 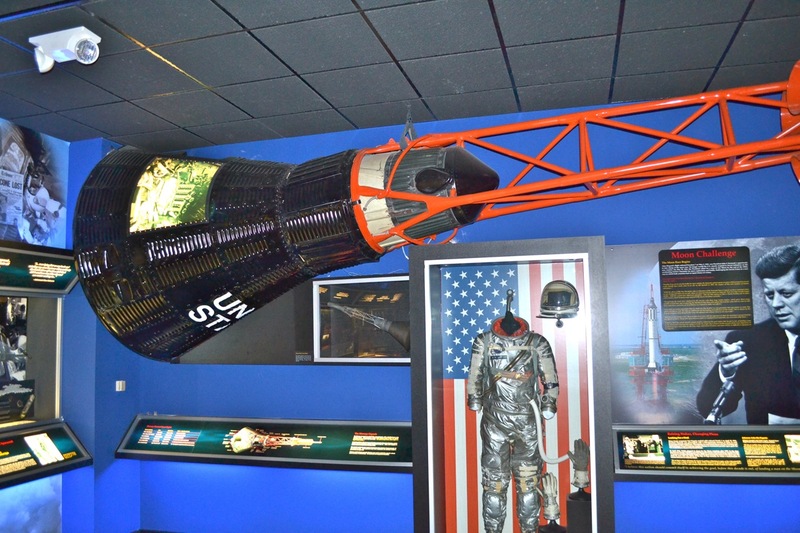 As odd as it might sound, this museum in the middle of no where is second only to the Smithsonian in space craft, artifacts and displays -- crazy right? 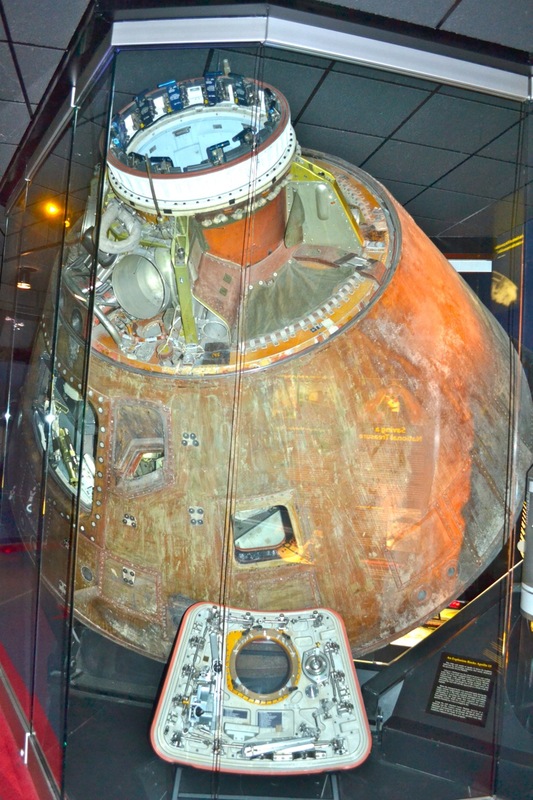 Also, it is current resting place for the actual Apollo XIII Command Module (which they actually restored -- apparently something they are quite good at, since they are the only place outside of the Smithsonian allow to do such work). The kids had a great time there, and I have to admit it was a total blast and worth the trip (although the 112 degree temps when we arrive were a bit much). There's a lot of stuff to see, and they don't necessarily make good pictures (for example, they have a section of the mission control panels from Houston, they have the original white room from the Apollo missions, an actual lunar rock from Apollo X, etc), I can't do it justice. Outside of the Cosmosphere....seen here is the Titan II rocket used in the Gemini program. 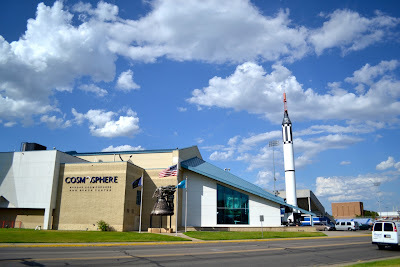 Another outside shot, this time displaying the Mercury-Redstone rocket, America's first manned booster. 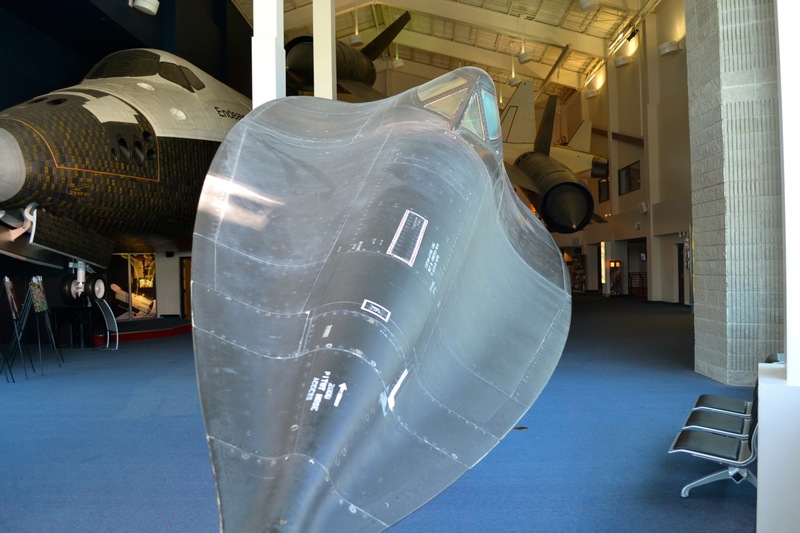 Inside the main lobby, you're greeted with an SR-71 Blackbird reconnoissance plane. 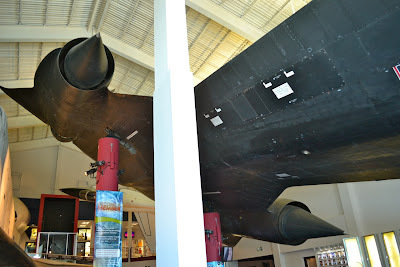 Another view of the SR-71. 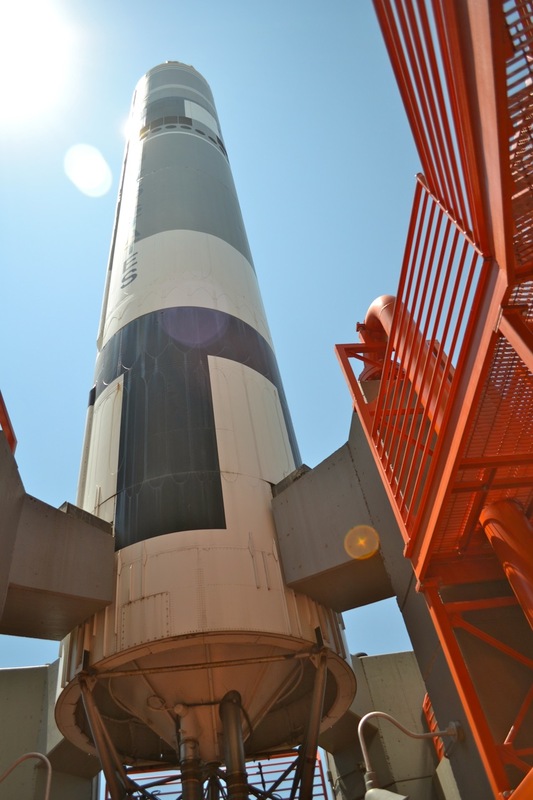 Another view of the Titan II rocket. 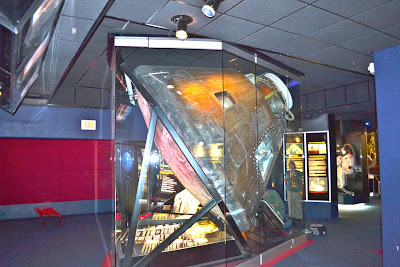 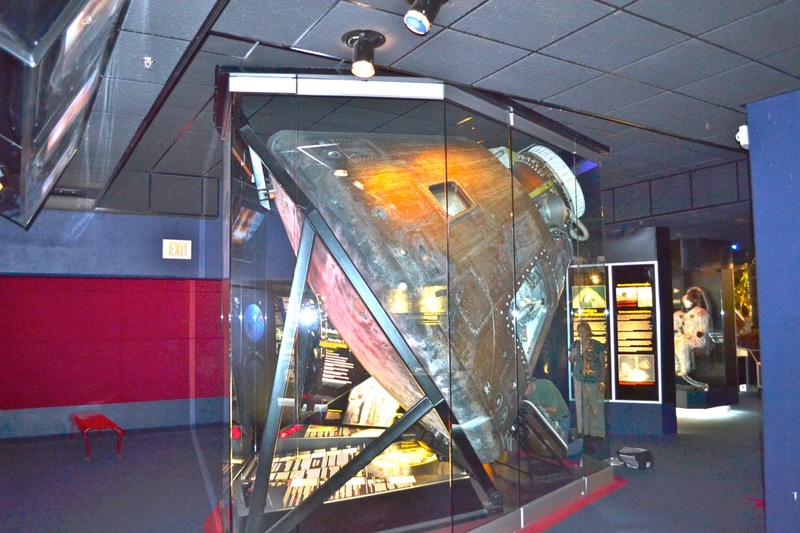 A close-up view of the Gemini X capsule. The real, original, restored Apollo XIII command module. 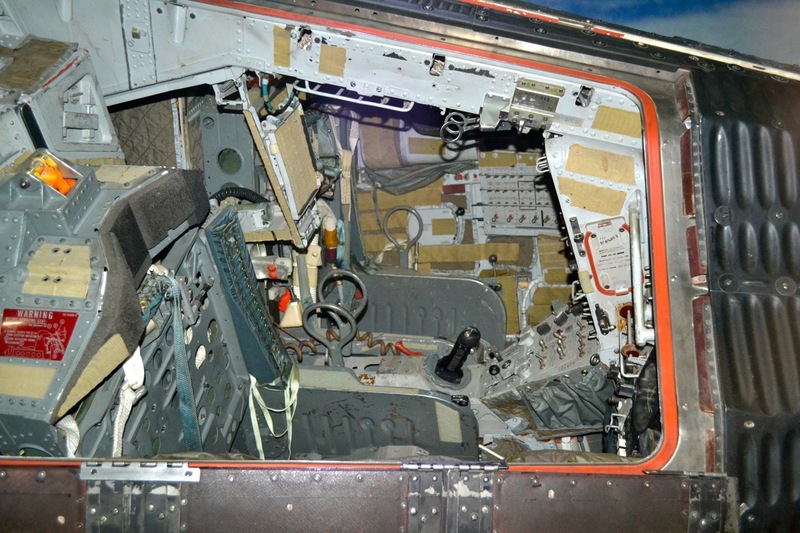 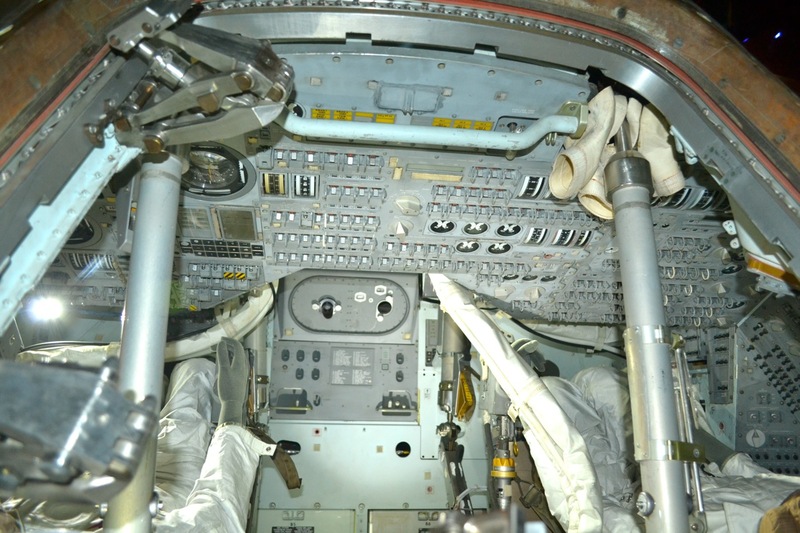 An interior shot of the Apollo XIII command module. 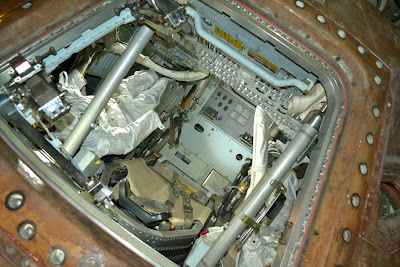 Another closeup of the command module. 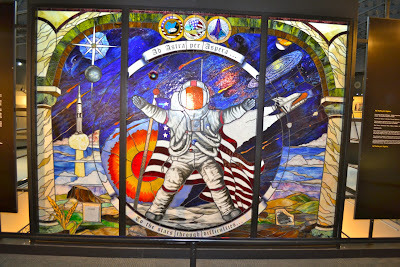 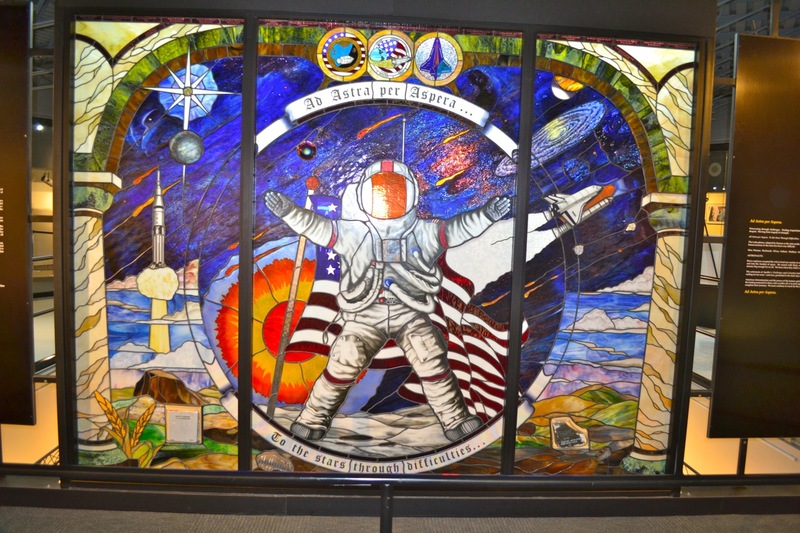 A stained-glass window located in museum.